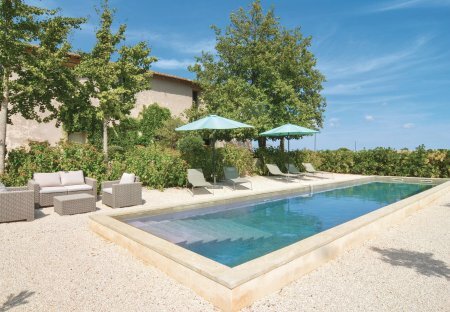 Rent villas and houses in Saint-Gilles, the South of France with private pools. This charming four bedroom villa is situated in an ancient stone house, which has been very tastefully and thoughtfully renovated. Located close to the Château Vessière vineyard. This spacious three bedroom villa is peacefully located just 10 minutes from St. Gilles, with beautiful views over the surrounding olive trees and orchards. This 3 bedroom house with private pool is located in Saint-Gilles and sleeps 6 people. It has WiFi, parking nearby and a gym. The house is near a beach.